Hello everyone and welcome to our tour stop for Harp's Voice. We have a guest post and there's a tourwide giveaway everyone can enter. Thanks for stopping by and have a great weekend! Single-minded to the point of near seclusion, Harp Evans’ only goal was to move away from her abusive mother, and start a new life at college. Now a freshman at a prestigious university, Harp continues to struggle letting people in, including her ex-boyfriend—Connor Williams—who has always stood by her, especially after her mother exposed a devastating secret about Harp’s origin. While Harp figures out how to navigate her relationships, especially with her mom, Anne, she will have to exorcize her own demons and face challenges with uncompromising courage, including reuniting her broken family—the family that was shattered by the acts of one man. After almost twenty years, is it possible for people to change their minds and open their hearts? More importantly, is Harp strong enough to pull them all back together? In just a few months Harp Evans will be officially coming of age and graduating from high school. She will be free from the mother that never wanted her, the house that never felt like home, and the disappointment of the last seventeen years. 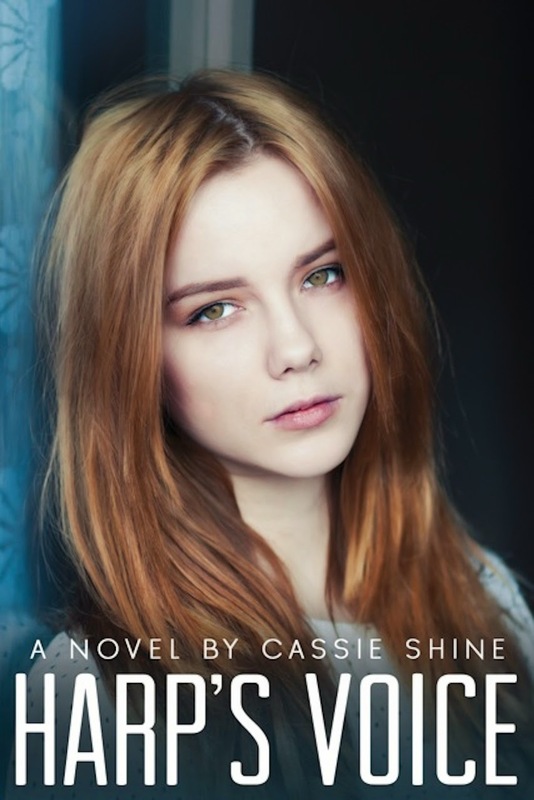 What she doesn’t know is that her mother has been holding onto a secret that has the potential to derail her dreams and destroy her already faulty sense of self. 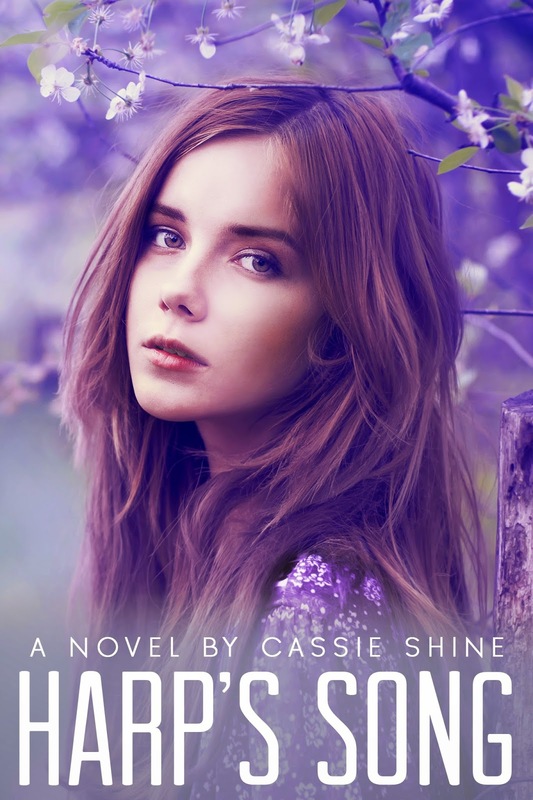 A self-proclaimed recluse, Harp spends most of her time practicing the cello, in the hopes of earning a full scholarship that will grant her freedom, but will also send her away from her best friend Connor Williams, who is becoming more than just a friend. As revelations are made, will Harp still feel the same way about leaving everyone that cares about her behind? Or will she continue to pursue the life she’s been dreaming of, for as long as she can remember? Harp is a loose interpretation of me-plain and simple answer, right? Not really. She’s also inspired by other women who I have had the pleasure of knowing and who graciously shared their stories with me. There are girls (and boys) dealing with the ugly face of abuse on a daily basis. It was important for me to write a character that didn’t let the abuse and hatred in her life pull her down. In Harp’s Song, Harp does eventually stray from her strength-doubting herself at every turn. 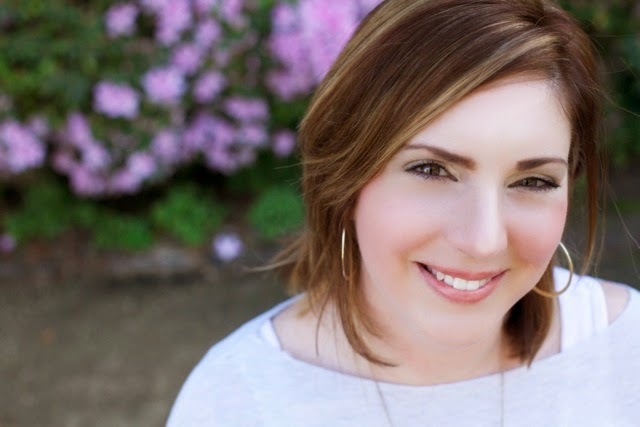 I’ve had a few readers tell me they don’t like that she became weak, but I know what it’s like to constantly fight the negativity-to give yourself daily pep talks-and sometimes, it just becomes too much. Your will isn’t strong enough to keep fighting the fight so you look for companionship in all the wrong places because it’s easy. And, while those people don’t really care about you, their expectations are low and that’s all you need at that point in time. I think young girls tend to do this too much and I wanted to show that it’s not the only option; that you can chose YOU-you don’t need others to validate you! It’s hard to do, trust me-but eventually you have to find that will again. Harp does find hers thanks to her love of music and the people in her life who love her and are devoted to seeing her succeed. But ultimately she does it because she wants to live a better life. 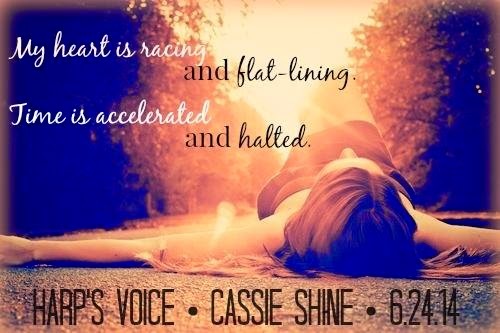 I could have easily ended Harp’s story after Harp’s Song, but I knew her journey wasn’t over. I wanted to show her weakness and her strength, her self-doubt and her confidence-the juxtaposition of these character traits that make us human. There’s a scene in Harp’s Voice where she and Connor are in the car on the way to Chicago and a Sara Evans song “A Little Bit Stronger” is playing on the radio and the lyric is: “Even on my weakest days, I get a little bit stronger”. I hope that’s what people take away from Harp and her story. 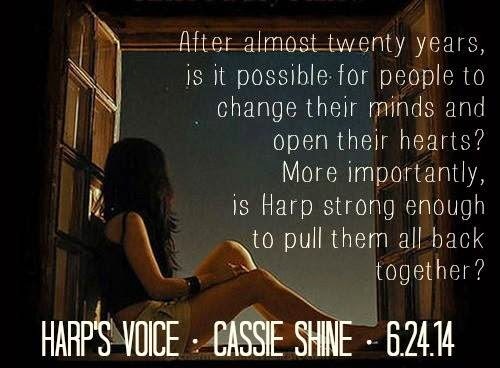 Cassie Shine released her debut young adult novel, Harp's Song in November 2013, finally finishing the short story she started in her college creative writing class … many, many moons ago. She has always been an avid reader and lover of music (yes, she was in the high school marching band). While she has a weak spot for all things teenybopper, especially boy bands, she also loves classical, country, rock and well, pretty much everything. I love the covers of these books and can't wait to read them! It sounds like I need to read the first book & catch up. Fantastic!! I'll definitely be checking this out!! Covers look real cool will have to go check them out. We thank everyone for stopping by and supporting this tour!